In an interview with The New York Times, Genesis' late founder Brian Roylance commented, 'I don't know of many people who go to this much trouble to produce a book anymore. But I think there is a future for it.' Inspired by this idea, Genesis is proud to create some of the most sought after books in the world. Genesis despatches books to collectors in over 50 countries. Around 100 signed limited editions have been created with renowned authors, as varied as they are many. Their editions feature in the collections of the world's finest libraries, including New York Public Library's Rare and Fine Printed Book Department. 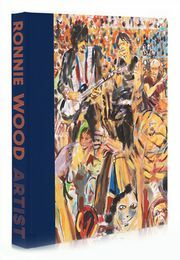 Authors and contributors who have participated in Genesis limited editions include Eric Clapton, George Harrison, Keith Richards, Ronnie Wood, Ringo Starr, David Bowie, Pete Townshend, Yoko Ono, Tom Hanks, Steven Spielberg, Sir George Martin, Sir Peter Blake, Sir Roger Moore, Michael Palin, Ravi Shankar, as well as sporting icons including Sir Brian Lochore, Michael Owen and Sir Jackie Stewart. Genesis Publications celebrates a rich history of artistic collaboration, graphic design, technical discovery and craft bookbinding with each new edition it creates. Your book is a work of art, designed to be treasured for a lifetime.